Cooling temperatures forecast for the weekend may bring snow that ski areas need to open for the season, but unusually warm temperatures and rain has made it difficult to project when they’ll open. A warmer- and drier-than-normal November has set back snow accumulations at Mount Baker, Stevens Pass and the Summit at Snoqualmie. It’s unlikely any of them will open before the end of this month. The Mount Baker Ski Area, for example, had a 30-inch snow base, but a “heck of a rainstorm” brought it down to 8 inches, said Gwyn Howat, Mount Baker executive vice president and operations manager. The resort is hoping for an additional 13 inches of snow to fall through the end of the week to replenish its base. “We’re taking it day by day, waiting to see how it comes in,” Howat said. Stevens Pass is waiting for conditions to improve before setting an opening date, Vail Resorts spokesman Marc Riddell said by email. Two inches of snow fell mid-mountain since Monday morning, and up to 2 more inches are forecast for Wednesday night. Crystal Mountain opened on Friday but closed on Monday because of warm temperatures, according to its website. The ski area will remain closed through Thursday and reopen Friday. About 15 inches have fallen on the mountain this season. 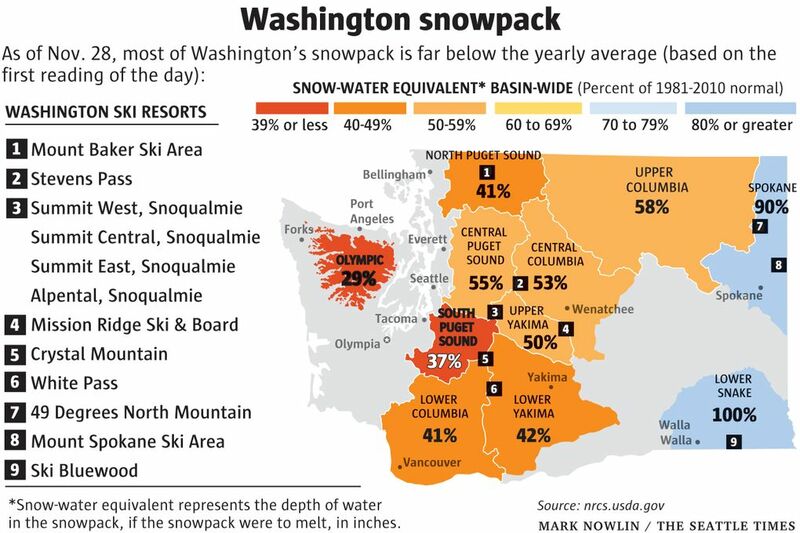 Washington ski resorts typically open in late November and early December, depending on snow conditions. 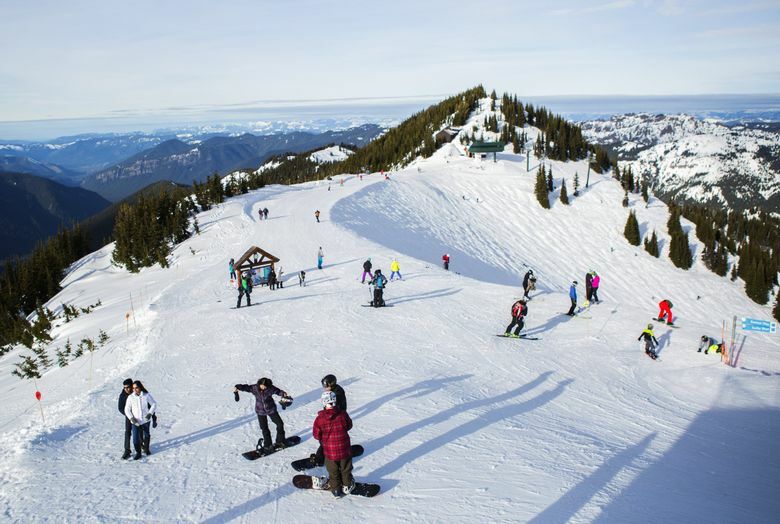 Last year, Stevens Pass and Mount Baker opened on Nov. 16 and the Summit at Snoqualmie opened Dec. 2. In the Seattle area, conditions will be much drier starting Thursday, according to the National Weather Service. Rain will taper off starting Wednesday night, with highs in the lower 50s and dropping to the mid- to low-40s through the weekend. Seattle set a daily rainfall record for the second day in a row Tuesday, and in the past two days alone the city received more than 150 percent of its total rainfall from May through September, according to the weather service. But the record rainfall still won’t make up for the dry November, Western Washington’s wettest month of the year. About 5.1 inches of rain have fallen this month in the Seattle area, which typically sees about 6.6 inches in November.